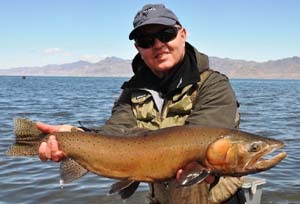 Californian angler Bob Gaines was fishing the famed Pyramid Lake, Nevada, USA on April 2nd when he landed a beautiful cutthroat trout (Oncorhynchus clarki) on fly rod. 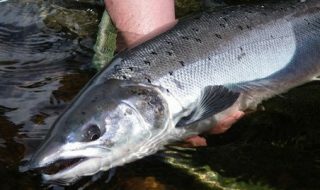 A well placed cast with a red glitter midge fly enticed the strike, and Gaines needed 25 minutes to land the 73 cm cutthroat. The fish was quickly measured and photographed before being released alive to qualify Gaines for the potential new All-Tackle Length record. 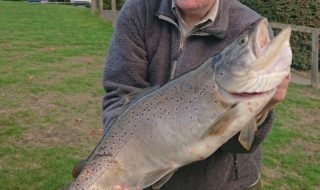 The current IGFA record stands at 63 cm.